Open Days are your opportunity to visit the Training Centre and meet with the Instructors. You will have you a tour of the facilities and explain how the Apprenticeship Programme works. If you or somebody you know would like to attend the Open Day, please contact KITS on 01484 711462 or email info@kits-training.co.uk to reserve your place. Remember – With an Apprenticeship you earn while you learn! KITS was formed in 1991 following the merger between the Halifax and District Group Training Organisation and the Kirklees Training Association. The merger brought together two like-minded training organisations. At the outset, the aim of KITS was to jointly develop a Centre of Excellence for Engineering Training and associated skills in the Calderdale and Kirklees areas. This was enhanced during 1994 with the opening of a new centre at Brighouse. Over the years KITS has continued to grow and has achieved a reputation for High Quality Cost Effective training resulting in the need to further expand the training facilities in 1998. KITS is one of the largest and leading employer – led engineering Group Training Organisations in the UK. In 2009/2010 the Skills Training Centre was totally refurbished with new state of the art machinery reflecting the standards and technology within local Manufacturing and Engineering Companies. 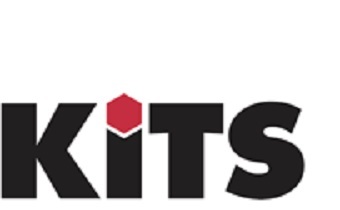 KITS has developed from an organisation that was purely seen as a recruiter of engineering craft apprentices and a means of maximising levy/grant returns to an organisation that is Employer Responsive, meeting company needs for both training and services in Human Resource development, Health and Safety, Quality and Standards in a wider range of industries. This entry was posted in Apr, Brighouse, Events, Get Involved / Have Your Say, Rastrick, Young People and tagged Calderdale College, KITS Training.